I previously had a 11s, which has been great, but when the 11c was available I jumped on this opportunity because of the new boundary strips feature. Here is my review on it and a comparison to the 11s. 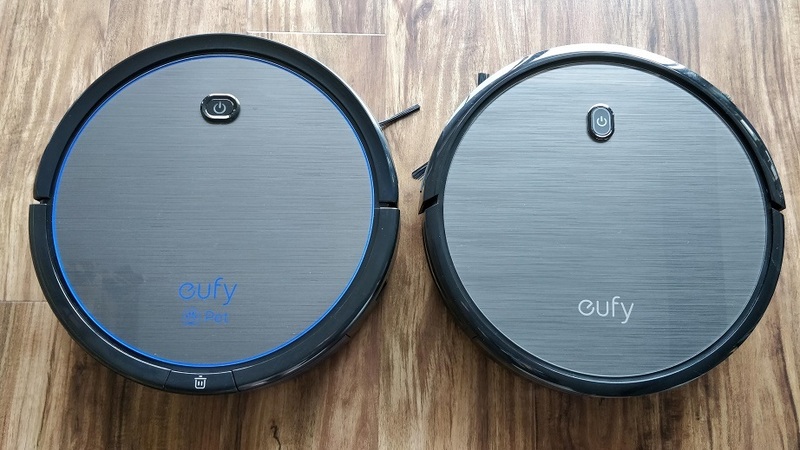 First off, let me say that the RoboVac from Eufy has been a lifesaver. Having to work during the day leaves little time after work to do anything else chore related. Also, having a little puppy around the house means there are plenty of pet hair on the flooring. 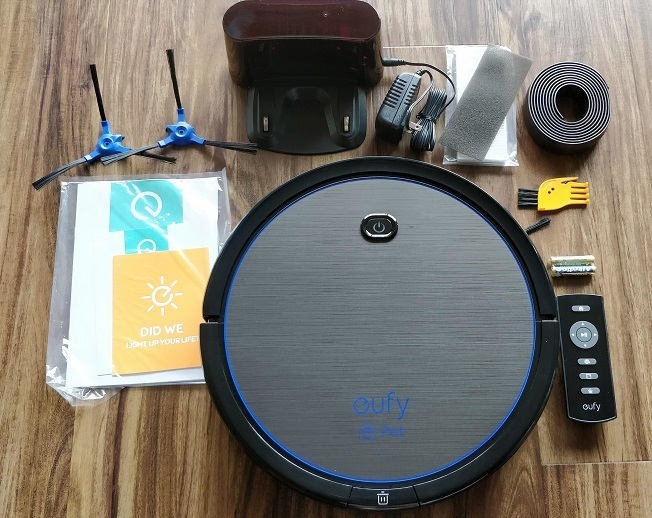 This is where the Eufy Robovac 11c comes into play (or should I say.....vac)! As stated earlier, I have an 11s. But what sets the 11c apart is the boundary strip feature. We have an open floorplan in our house so it is a pretty large area. In the past, I would have to put up a few “barriers” between the kitchen and living room so that the robovac stays in the kitchen area. But now with the RoboVac 11c, instead of the “barriers”, I just use the magnetic strip and that is it. It works like a charm! In terms of size, the 11c is a smidge taller than the 11s but the diameter is the same. In the pic, 11c is on the left. Both robovac does an excellent job in picking everything up. During my testing, I ripped up a handful of paper and placed them randomly in the kitchen and the 11c picked all of it up. It is quite surprising how much dirt and pet hair is on the floor. They have 4 cleaning options and 3 suction power options. 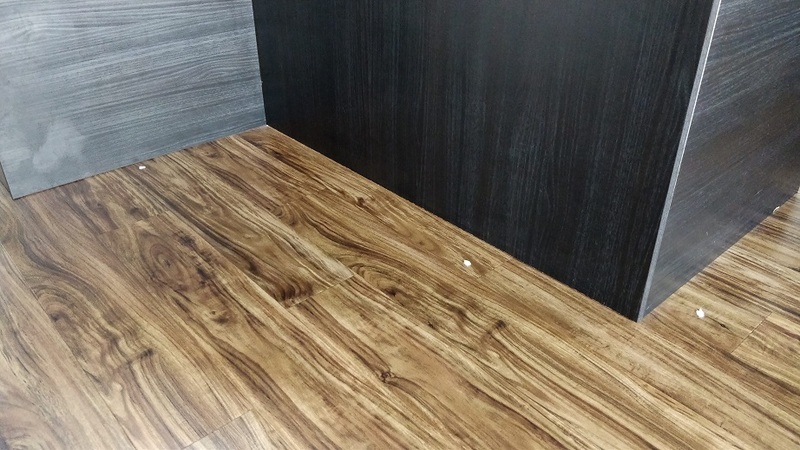 The cleaning options are: Auto, Single Room, Spot and Edge. On Auto, the RoboVac will run for 100 mins, then return to the charging base. Single Room is 30 mins then it will pause. Spot is 2 mins and then pause. Edge is 20 mins then returns to the charging base. The suction power options are: Standard, Boost IQ and Max. Charging time was approximately 3.5 hrs for a full charge after the Auto cleaning option (100 mins run time). The 11c has wifi capability (which the 11s doesn't) and there is an app (iOS and Android) that is available for download to your phone or tablet. With the app, you can control the 11c without having to look for its remote. This is great becasue if you are like me, I never know where I put the remote for my electronics. Both the 11c and 11s are excellent robovacs. You can't go wrong with either one. If you like the boundary strip and app feature, then 11c is your choice. Here are some pics of the 11c and a before and after. Thanks for your review, some good pictures aswell. Great review Thanks for Sharing. I wish they were all Wi-Fi and smart home compatible. It's nice to be able to tell Alexa to clean. The robovac runs about 3 times a week and I am having to empty the cannister about 2 times a week. For those wondering this is 11c Pet Edition, which is only available at Walmart. 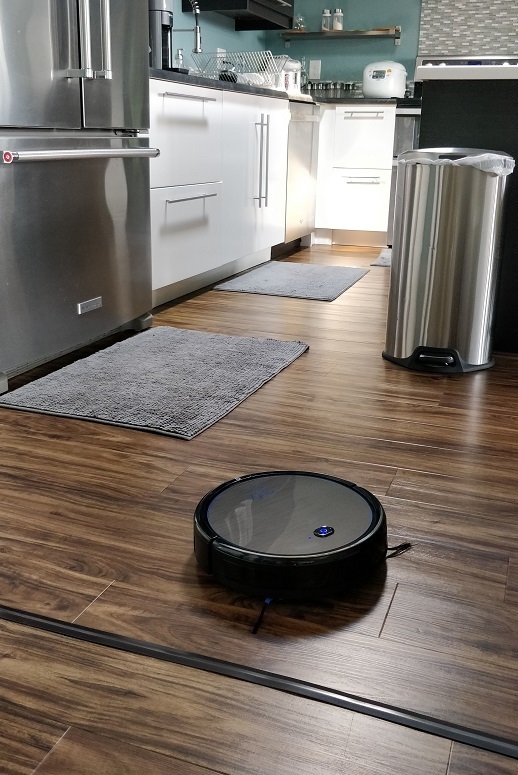 There are no RoboVacs with smart connectivity being offered on Amazon at the moment, but RoboVac 30c is expected to be available within the next couple of months. 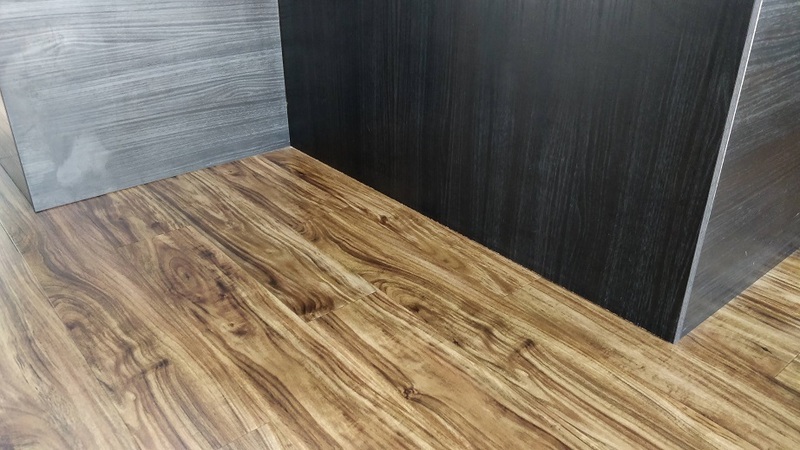 Thanks for sharing the comparison review and great photos! Nice job! Excellent review. Love the comparison shot. The only thing I would like is a magnetic strip as a border. Anyone have any idea where to buy replacement brushes for the 11c? I bought one, and I absolutely love it, it gets stuck about 3 out of 5 times it runs, but normally it does so after over half of the cleaning time, so I'm not complaining, my floors are cleaner than ever. But I can't seem to find compatible replacements on amazon. Much less any that ship to my country (mexico). Any ideas / links? Links to Amazon US will be much appreciated, as I travel to the US quite often. Thank you all, and thank you for the review! I would say the EUFY RoboVACs 11 and 11c are using the same brushes. But you should ask EUFY support first. I clean the brushes very carefully after every job. So they are looking like new after 2 month of hard work. I can't believe no one has asked this yet... What makes the 11C the "Pet Edition" if the mag strips and apps are the only difference with the 11S? @Kirk_R_Cameron We appreciate your interest in our products. 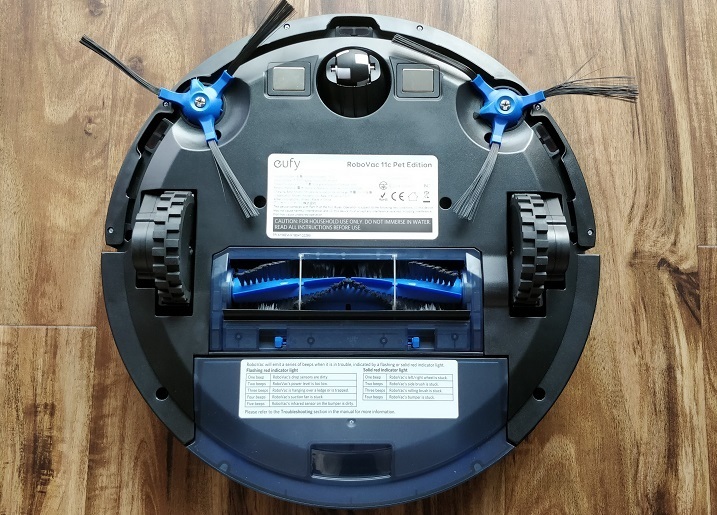 Except for the boost IQ and boundary strip, wifi-connection feature, RoBoVac 11C "Pet Edition" was an earlier model and it was with the largest suction 1200Pa (Max Mode) and so we called it the "Pet Edition". RoboVac 11S is one of our latest developed product, it's not only with a higher suction 1300Pa (Max Mode) and it's also slimmer and quieter. Hope this helps!